As part of their ICSE/ISC social and community service programmes the students of Classes IX and XI spend a week in villages in remote areas each year, experiencing every aspect of village life. The students work with the villagers, visiting their homes and sharing their food, thus gaining a true understanding of the challenges and strengths of an Indian village. Prior to the class XI trip, the village is asked for a wish list and our students offer physical labour to fulfil that need. Over the years, successive batches of our students have, among other things, laid down a road, built a shed in the cremation ground, and constructed a cement basketball court – all from scratch, acquiring the skills needed to do so. They return as mature young men and women who we hope will contribute responsibly to the world they live in. 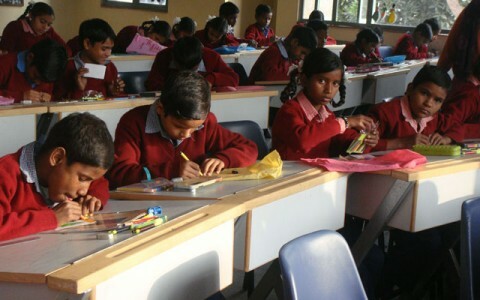 Children of migrant labourers come to our schools for classes after school. These classes are financed by the staff of TSRS. 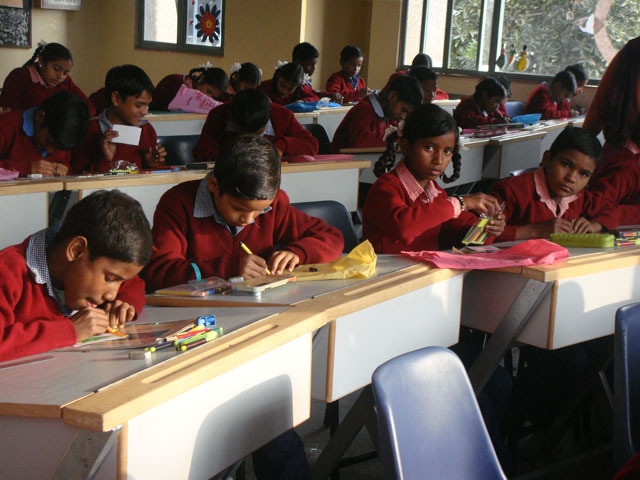 Teachers have been hired to teach them; Class IX students also teach them as part of their SUPW programme. IB students of Moulsari teach them co-curricular activities, such as music, singing, dancing, art and theatre, as part of their CAS programme. They also hold a fun fair for the children before Christmas each year. This year the students of class XI taught children of OBC about issues such as taking care of health & sanitation, and spreading general awareness about it for 4 months. For this, Uday Singh of Class XII Science of Moulsari campus won the Pramerica award – he designed a module of scientific experiments and used it to teach the children. The students also hold different types of fundraisers, such as bake-sales, old newspaper sales, and concerts in support of diverse causes such as relief for disaster-stricken areas, facilities for the protection of endangered wildlife species and the education of disadvantaged communities of our society.